Duality of the mind is the conscious and subconscious. The conscious mind within itself is dual in nature, this is where the Ego resides and all ideas and dogmas of “good and bad.” In the previous blog “The Ego,” I attempted to distinguish our thoughts and those of the Ego. It’s being aware of the duality of the conscious objective mind and to help understand how to be the conscious creators of our lives & not creators of the false ego. As said before, “you must travel the path and you can’t travel the path until you become the path itself. We can’t ‘become’ until we learn to ‘be’ with this or anything else in life. We must ‘be’ before we can ‘do.’ We can ‘do’ only to the extent to which we ‘are.’ What we ‘are’ depends upon what we ‘think;’ therefore, the first step is to think. Although, thinking happens on its own and needs no permission from us for its activity, this is where problems arise from not being aware of the duality of our own thoughts. To consciously be aware of what we think requires practice until it becomes a habit by the subconscious mind. The difference is now we can be aware of what we have been thinking/practicing instead of living our lives aimlessly and randomly. The results we achieve will be in the direction and in proportion to that effort. Nothing in the universe can come into existence without duality. It exists for the purpose of creation of all that exists, realize that when we have a good or bad experience with someone we are only experiencing the equal opposite of us. We are identical to those we love but especially to those we hate or fear. Duality is one of the most misunderstood laws/concepts of reality. Everything in this universe in which we live and have in our being is dual. Opposites are identical in nature but only different in degree or frequency. If you travel north you’ll eventually find yourself traveling south and vice versa. Duality is an illusion of reality, where does good and bad begin or end? It can’t be measured exactly, only perceived by a vibrational frequency or degree. It’s impossible to change cold into white or before into good, but we can change cold into hot, good into bad, and white into black. Everything must be the opposite of the same kind for the purpose of creation. Man and woman can create a child, but man and dog cannot procreate anything together, and neither can woman and woman. Just like magnets of like forces/polarity repel each other, magnetism is a force of attraction or repulsion that acts at a distance. In magnets it is due to the magnetic field, and in humans it is due to the electromagnetic field generated by our hearts and solar plexus. Just like a magnet, we attract or repel the perceived “good” or “bad” in our lives by the polarity and degree or frequency we generate in our hearts. In a sense we are the equal opposites of our problems, but also our solutions. The union of both opposites is one and indivisible. This is what I meant when I mentioned in the previous blog “the singularity of love,” not to choose one side over another but to choose the middle path like Buddha tought his disciples. 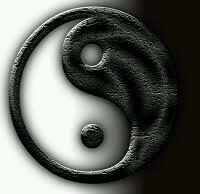 Duality exists to show contrast and give definition to each other, and to live by way of experience. Absolute light and absolute darkness are both blinding. Extreme good and evil are no different. When polarizing ourselves into extreme good remember we indirectly arouse extreme evil by the repulsion of it, and evil doesn’t care if we hate or fear it. To neutralize and transcend duality we must embrace both, love the good but also love the bad, for all are one.